Planning on throwing a party that is exclusive only for your family, relatives, and closest friends? Or are you organizing an event wherein you want to segregate the attendees according to their roles or status? Then you may want to consider using VIP cards to pull that off. You may also see attractive rustic invitation designs. If these are what you need for the event that you are trying to put together, then you won’t need to look anywhere else. 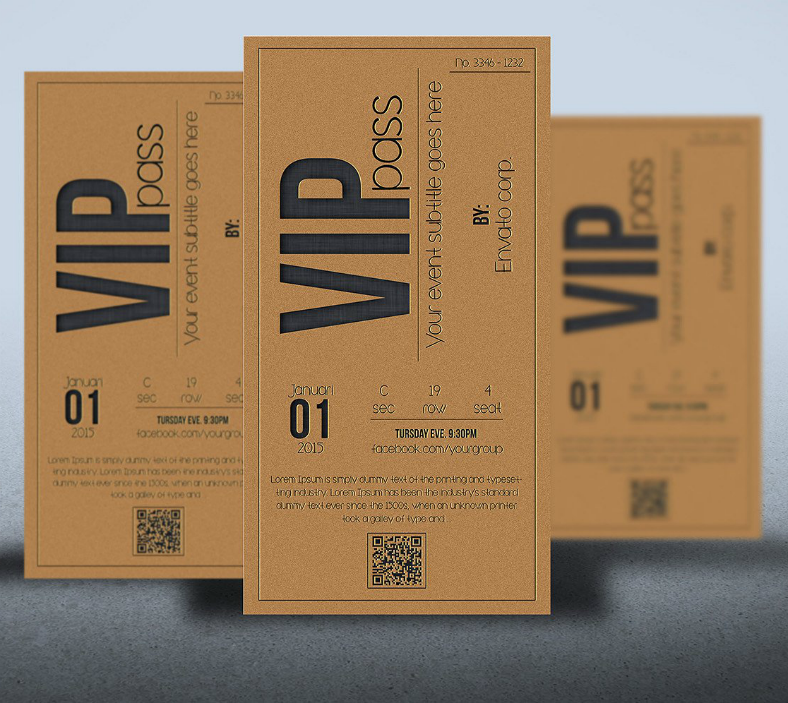 Below is a collection of various stunning VIP event invitation designs that can be used for all types of events. Feel free to look around first before deciding to download them. You may also see invitation samples. Planning to throw a private or intimate party? 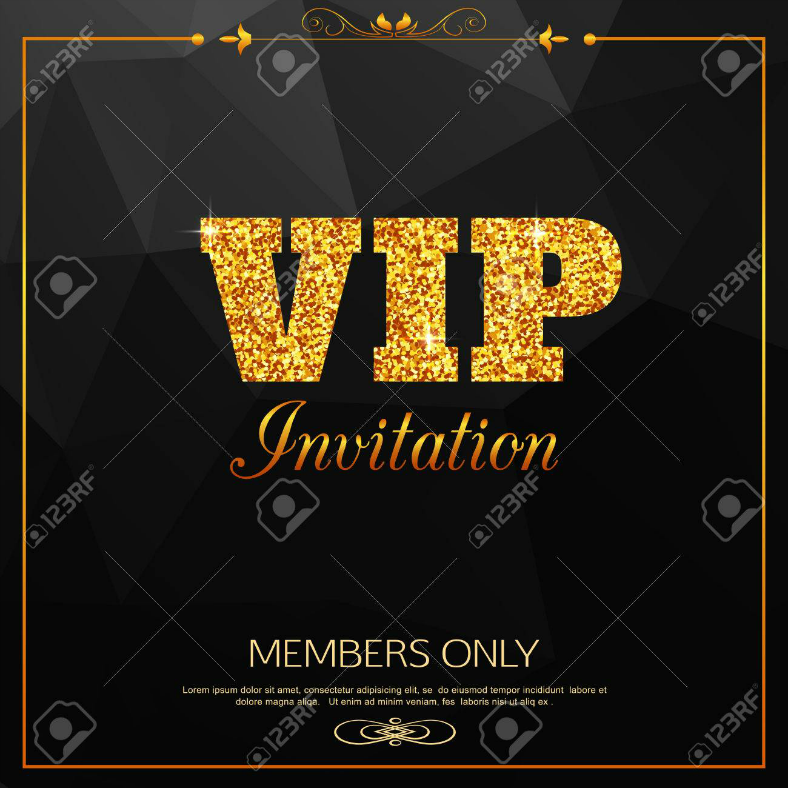 If you are, then you may want to check out the VIP party invitation template above. 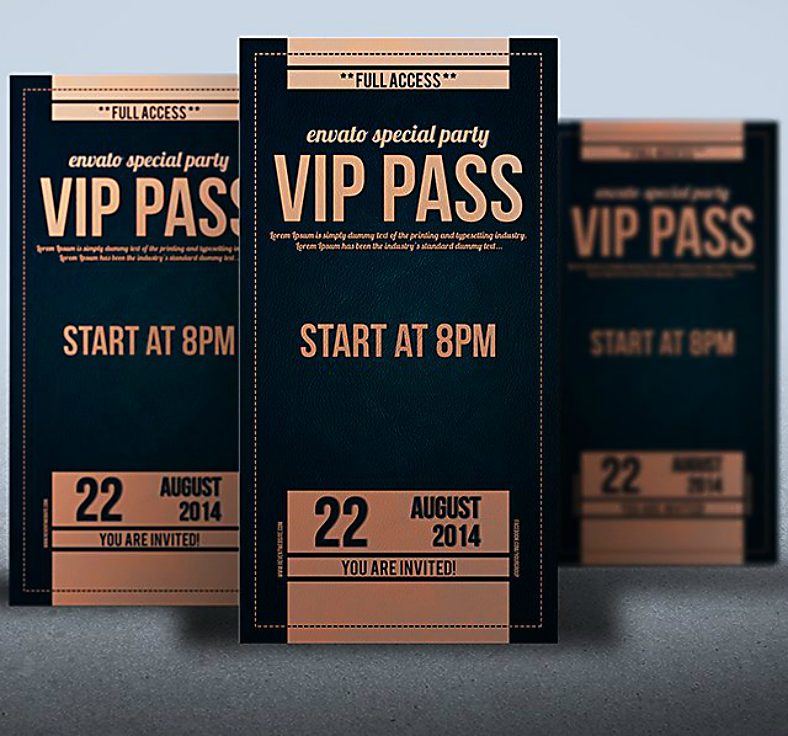 Your party may be intimate, but you can still use VIP invitations for your guests. It just goes to show how much your invitees mean to you, that you treat all of them as “very important”. If you are looking for something that is quite simple but effective, then the invitation template above may be what you need. Just because this one is simplistic, it doesn’t mean that it’s less special than the others. The simplistic look of this template somewhat forces its readers to focus on the more important details of the invitation. Here is a birthday invitation template that seems minimalist in appearance but is able to make the relevant content stand out because of its use of contrasting colors. Aside from just being able to make the content stand out, the details are also arranged very well making it easy to navigate. 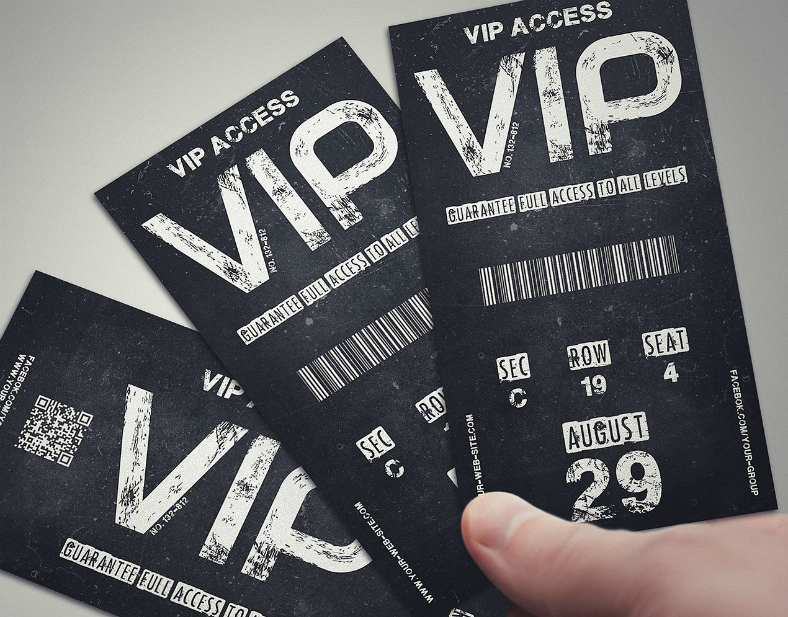 What Does VIP Stand for? And Who are They? 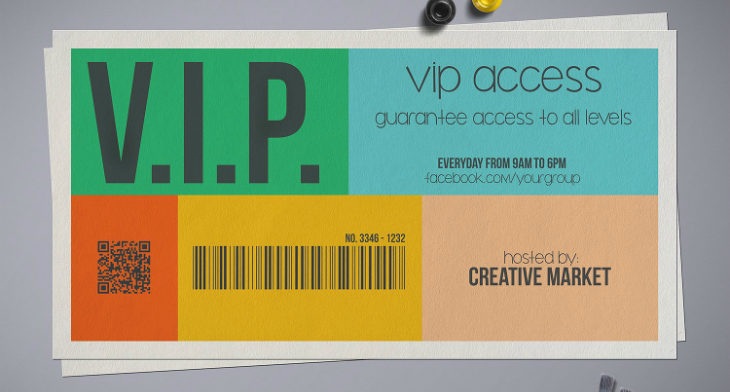 VIP is actually an abbreviation which stands for “Very Important Person”. These persons are those who are given special treatment because of their status. The status referred to here may either be professional, social, or financial. You may also see folded invitation templates. 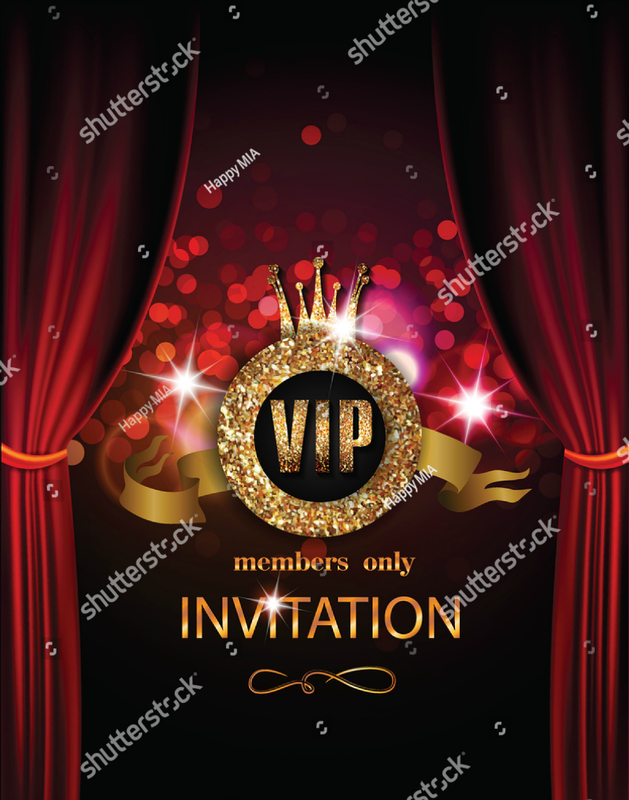 To be specific, examples of VIP include various politicians such as heads of states and government officials, CEOs of major industries, top corporate officers, celebrities, and wealthy people. Basically, those people who have earned or can afford such treatment can become a VIP. You may also see vintage invitation templates. There is also another kind of VIP, those who are much more valuable than regular VIP’s. These are called VVIPs, which actually stand for Very Very Important Persons. 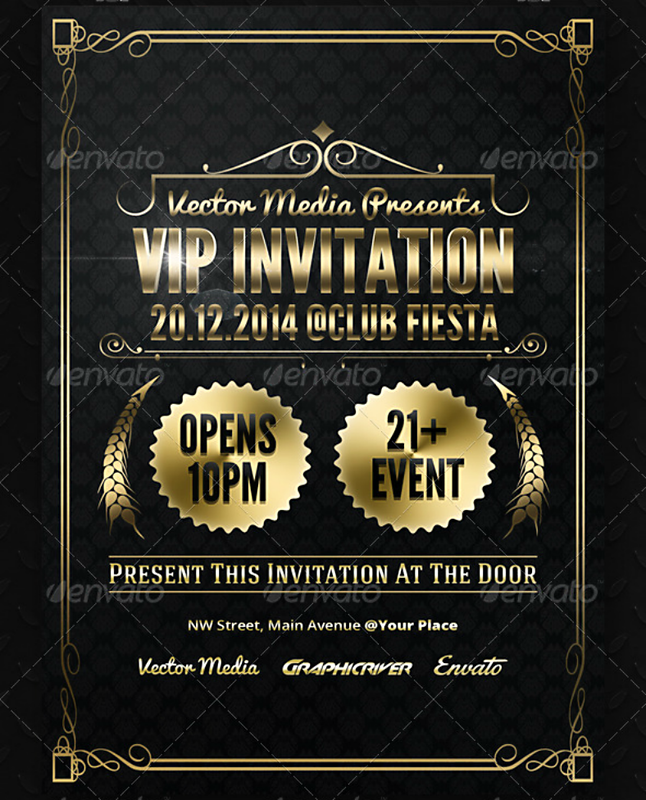 You may also see elegant invitation templates. Here is a colorful girl birthday invitation template that every girl will enjoy, and it also has a gymnastics theme which is also something that many girls want to become. Whether or not the birthday celebrant is an actual gymnast—or simply a fan of the sport—you may still be allowed to incorporate gymnastics as the theme of the birthday party. Looking for a grungy, rustic look for an event invitation? Check out the template above, it’s probably what you’ve been looking for. This template may work perfectly for concert events or those that are informal. But as you can see from the image above, this template includes both a bar and QR code, which you can scan before allowing the guest to enter the venue. For a similar looking design, you may want to check out our collection of chalkboard invitation templates. When we speak of inviting people to an event, it can be done by simply making a phone call informing them to come over. Then again, why would you settle for such an effortless gesture when you can actually do something that’s more meaningful and memorable. 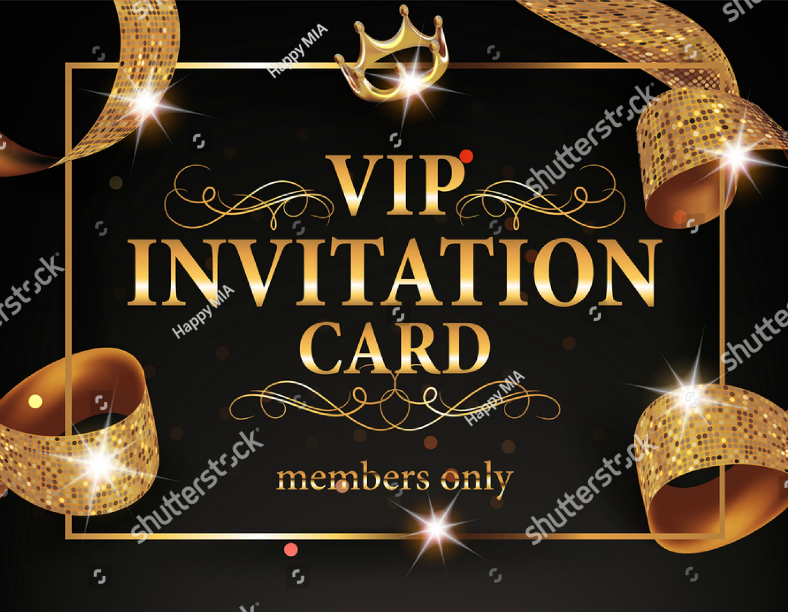 That’s the main reason why event invitations are very important because they are tangible and they give the impression that the invitation from the host of the event is indeed sincere. Also, with invitations, they are also able to provide the invitees with all the relevant information they need regarding the event. And if ever they will need to make further questions, it will only be minimal or even unlikely. In short, invitations are already able to answer the what, when, and where questions regarding the event. You may also see sample invitation templates. And lastly, on the side of the host of the event, invitations can help them control the number of attendees or prevent the risk of gatecrashers coming into the event. 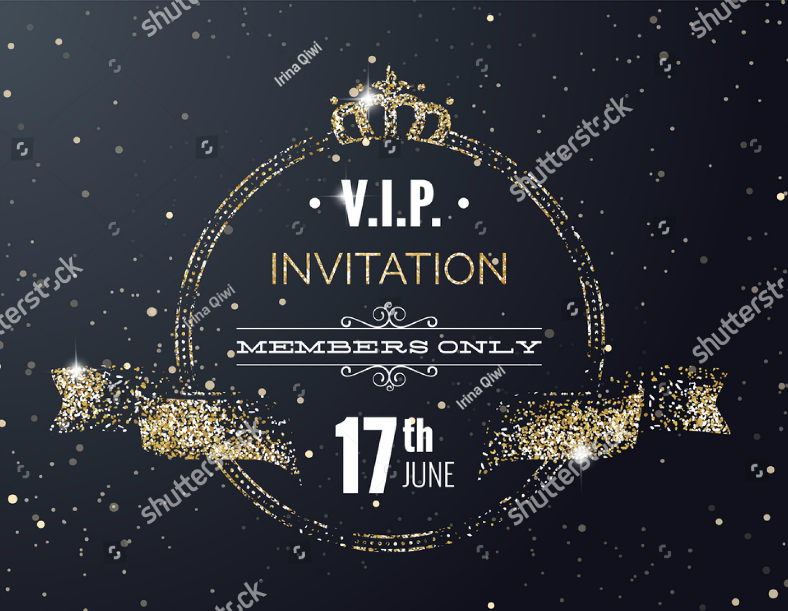 This can be done by informing the invitee to keep the invitation and bring it to the event, and they can present it to the ushers in order for them to be permitted to enter the premises. Or another way they may be able to do this is by using RSVP cards, wherein only those who were able to respond or confirm their attendance are included in the list of guests and are allowed to enter the venue. Bridal showers are made to be intimate and should only be attended by those who are close to the bride, which is why VIP invitation cards are the only invitation cards necessary for use. 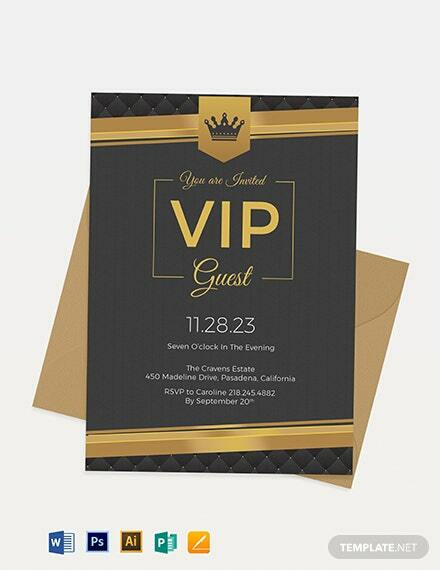 The bridal shower invitation template above effectively resembles real VIP cards that are being used during events, and it makes itself relevant by indicating only the necessary details on the design. Components of an Invitation: What to Include on an Invitation? First and foremost, you should inform your invitee about the purpose of the event. Are you throwing a birthday party? A wedding? Or simply a thanksgiving celebration? This provides the invitee with the answer to the “who” question. Regardless of the type of event, there will always be a person whom the event will honor, and this person should be mentioned on the invitation. 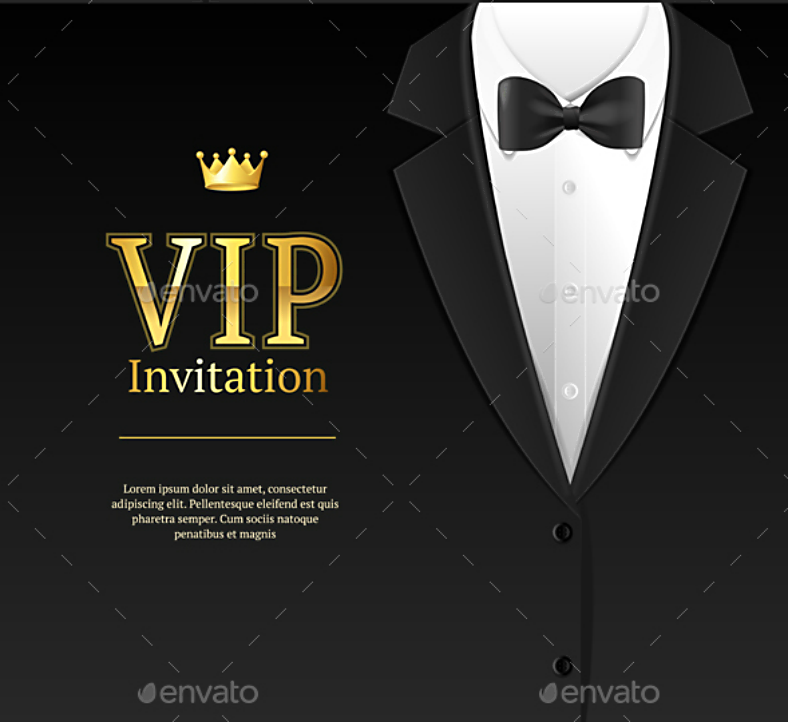 You may also see opening invittaion templates. Now that you have informed the reader with regards to the “why” and and the “who” concerns, now is to inform them of the “when”. When indicating the date that the event will take place, you should include not only the date but also specify the exact time that the event will commence. Tip: When writing a formal event, the date and time should be written in complete words; when writing a casual event, you are allowed to write numbers and shortened words. The next information to include is the address where the event will be held. The complete street address should be written, and if the event is about to be held in a building, the floor and room number should be specified. If in case the address is somewhere not everyone is familiar with, you may include either a small map or a list of directions to guide the guests. You may also see invitation cards. This section is highly optional and is only applicable if you are planning to incorporate a particular theme for your event. The metro theme has become one of the most recognized updates in Microsoft Windows, and it has been copied in a lot of designs by graphic artists. 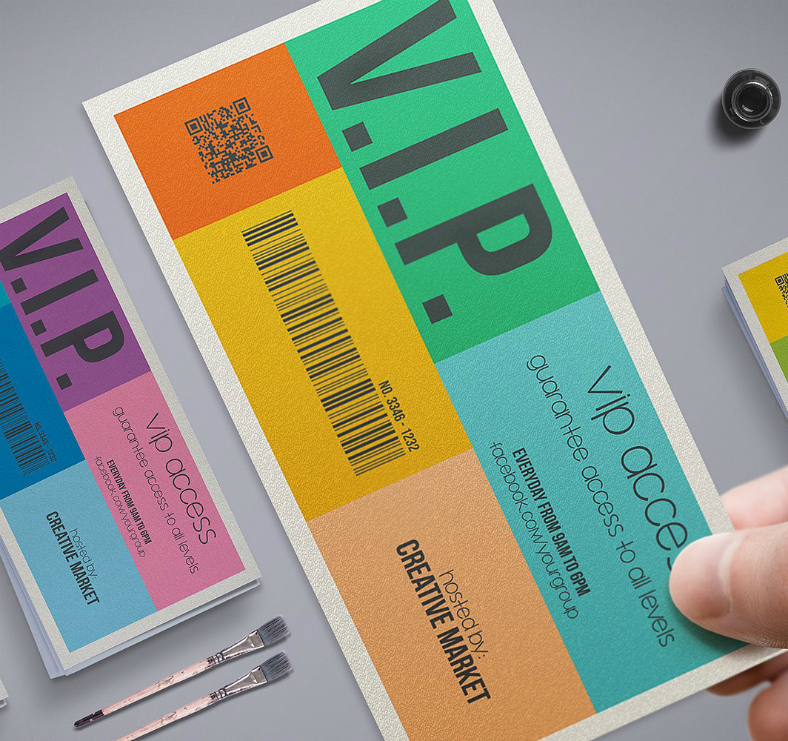 One such design can be seen on the event invitation template above, and the use of multi-colored text boxes allow for the organization of content as well as the enhancement of the appearance. So what do you think? Did you find what you need for your event? If so but you’re still unsure whether or not our templates are indeed worth downloading, here are a few more details about them. 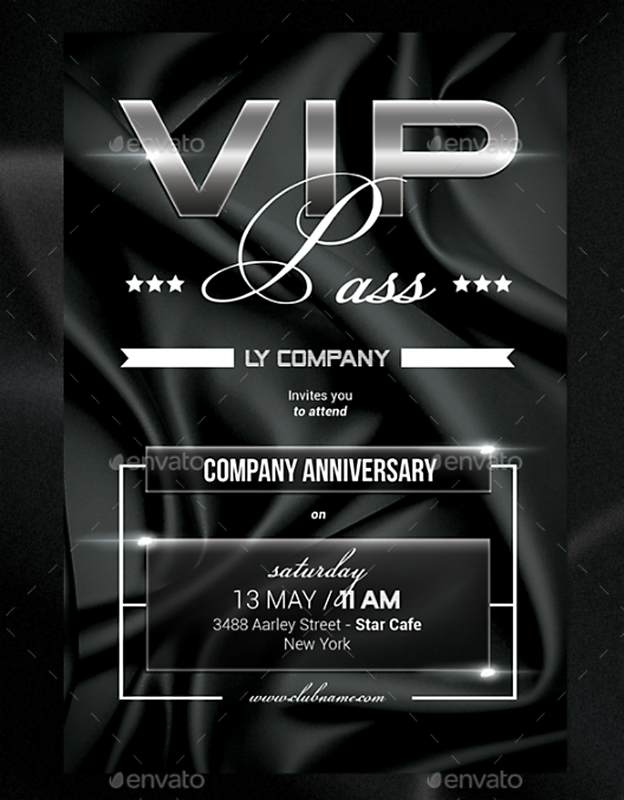 These event invitation templates have actually been gathered from among hundreds of the best ones all around the internet, and are designed by professional graphic artists. When it comes to the costs, these invitation templates are guaranteed to be inexpensive since they have all been reasonably priced. This means that even if you’re on a tight budget, you may still be able to download these templates. 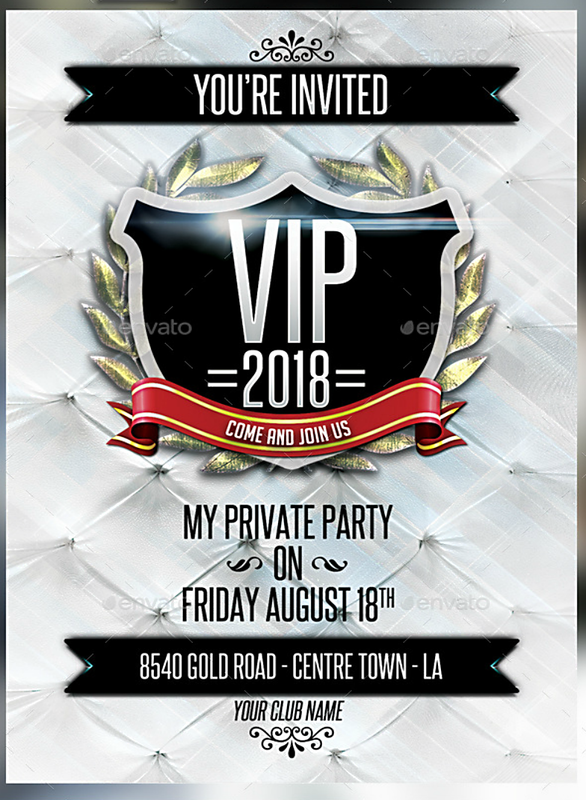 And finally, these templates are highly editable and you can do as much editing as you want in order to pull off that look on your VIP party invitation designs. Now, are you convinced that our templates are worth downloading? If you are, then don’t hesitate to click on that download button now.